The Ranier, a two-story Coastal Carolina Island Home, is the perfect design for ultimate coastal living. 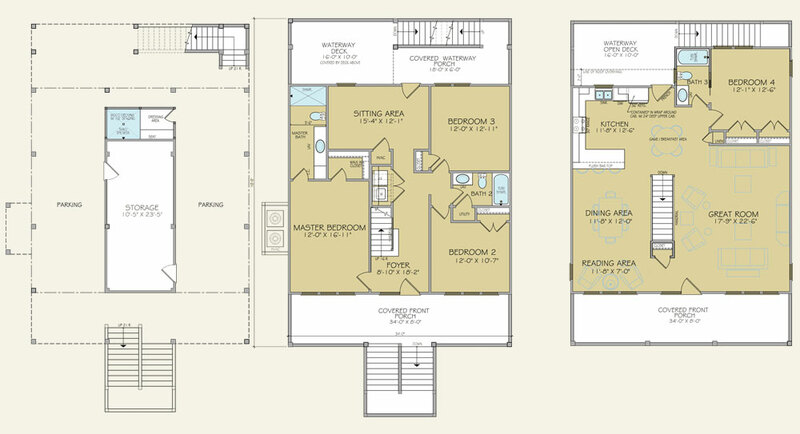 The inverted floor plan features an upper-floor primary living level, with a uniquely arranged open family gathering space with its great room, a kitchen space with a four-seater bar, and dining and reading areas. 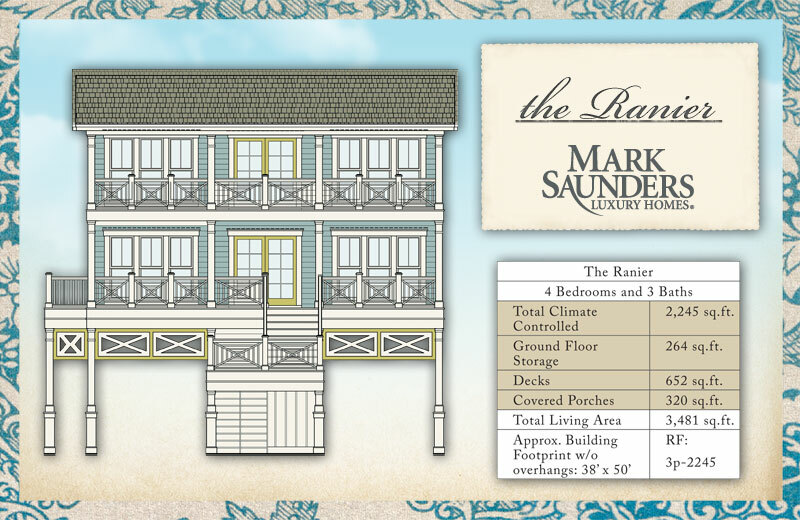 Coupled with an amazing sitting retreat on the lower level and front and backside porches and decks, The Ranier is designed for incredulous water views of the Atlantic Ocean and the marsh or Intracoastal Waterway, ideal for an ocean, marsh, and waterway or canal homesite.